Seriously, it’s about damn time. The Motorola XOOM came out on February 24th and we’re just now getting a Twitter app that was made specifically for a tablet? Everyone owes a huge “Thanks!” to developer Chris Stewart, the developer behind this impressive app. And I must say, he’s done a pretty fantastic job. 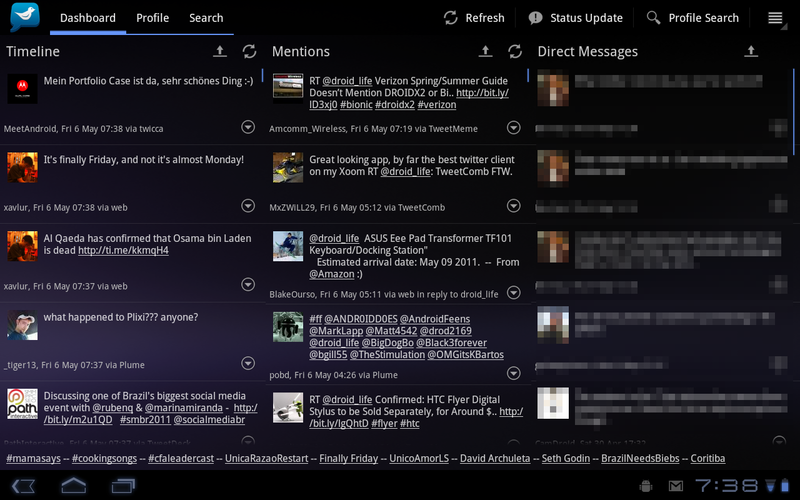 TweetComb, reminds me a lot of the desktop version of TweetDeck, and as far as I can tell is only missing the ability to upload photos and to add lists as a custom column or it might be perfect. Update: Hold off on buying this. 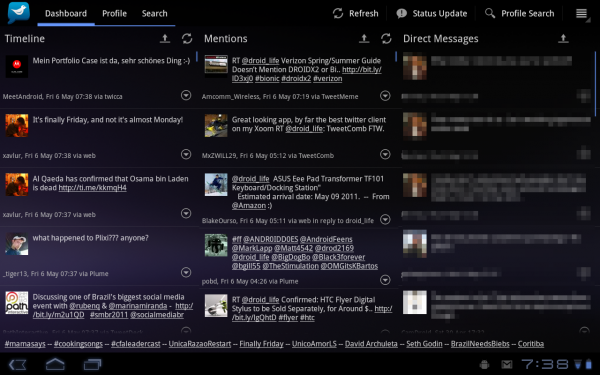 Check out the new Plume beta.